Ask Yourself: Is Managing Your Own Network Infrastructure the Best Use of Your Time? Mosaic NetworX knows your time is best spent driving your business forward, not dealing with the technical challenges in your network that may be holding you back. Mosaic has the experience and expertise needed to turn your network infrastructure into a competitive advantage. With Mosaic NetworX’s world-class managed services benefits, we can help you move your business forward, no matter the industry. Mosaic offers services to a variety of sectors, from small organizations that need assistance setting up a network to larger businesses needing full-featured management appliances working around the clock. Mosaic offers holistic management, monitoring, and support that reduces complexity and cost, while increasing performance and capacity. 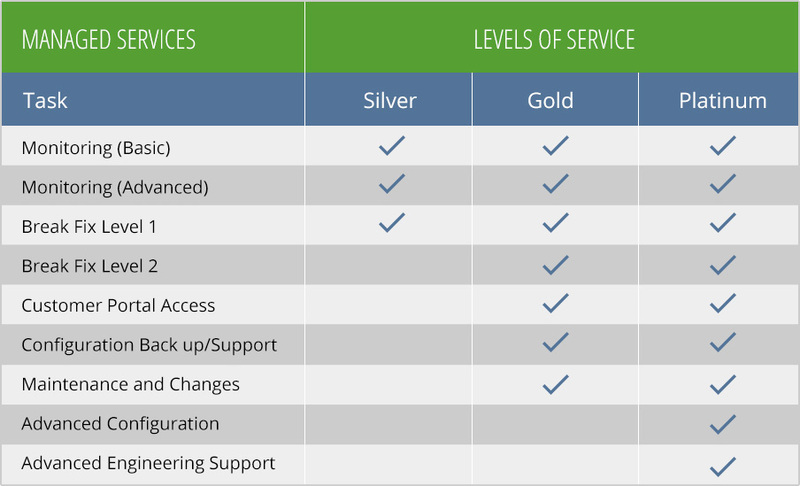 Services Level Choice – It’s up to you! Managing your own network infrastructure carries substantial cost in lost time and unnecessary expenses. You invest in your business everyday with the belief that your investment will help your business grow. Given the importance of your network to business-critical activities, it’s clear that investing in managing, monitoring, and supporting the connectivity of your network is an investment worth making. At Mosaic NetworX, we understand the importance of continuous network connectivity and support in bringing your investments to fruition. The benefits of our managed services include being backed by our expert staff, mitigated costs and time expenses, so that you can focus on doing business. 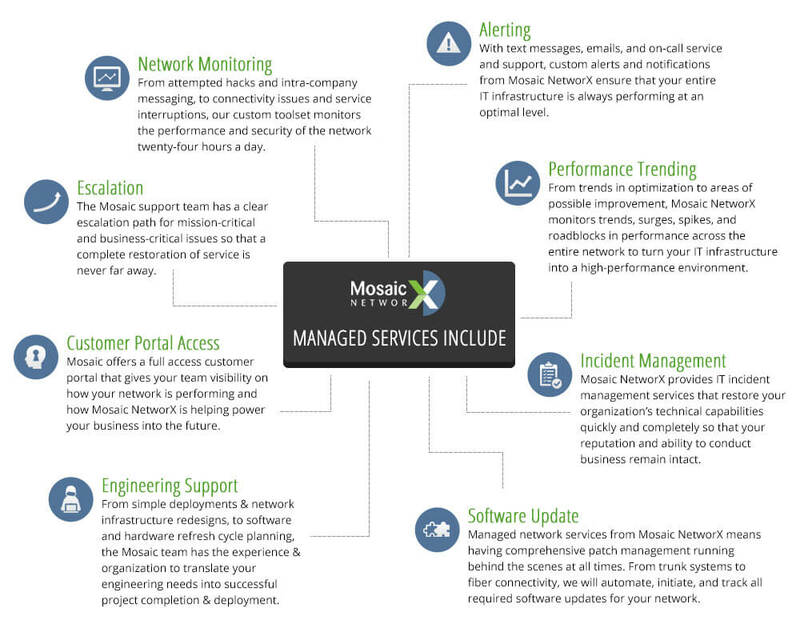 Click here to learn more about managed network services from Mosaic NetworX.